A pardons Canada record suspension seals your record from public visibility. This makes it easier to find employment or volunteer opportunities, rent an apartment, travel between countries, and generally contributes to your freedom and overall quality of life. Which convictions will be pardoned? Applicants for the pardons Canada program must meet certain requirements before their application can be approved. Upon receiving the pardon, your entire record - all convictions included - will be removed from public record. Do I need a pardon if my convictions are relatively minor? Even if your record has not yet affected the quality of your life, there is no guarantee that your future will remain unaffected. A criminal record has effects on various aspects of life, and may interfere with your future plans or opportunities. How long does it take for my pardon to be approved? There are many steps involved in processing a pardons Canada application, and thus the process can be time-consuming and stressful. Fortunately, from the moment you first contact Record Free, you can rest assured that we will streamline the process and take care of every detail so that you won't have to. It will normally take around 10 to 18 months to complete the entire process, but the overall timeline of your application may vary depending on the complexity of your case. Can I just apply myself? If you decide to apply yourself, there are certain risks you may encounter, as each stage of the application must be completed according to specific instructions and on a strict timeline. Our team at Record Free is unmatched in experience, and our vast knowledge of the process allows us to ensure that every part of your application is accurate, minimizing the risk of it being denied or deemed incomplete. How can I be sure I will get pardoned? Unfortunately, the success of your pardons Canada application cannot be guaranteed, as there are multiple factors that can delay an approval. However, our experts at Record Free will ensure that each part of the application is completed as necessary and within the timeline given, maximizing your chances of getting a record suspension. Can I travel to the U.S. with a pardon? In order to travel to the U.S. with a record, you are required to have a U.S. entry waiver. What is a U.S. entry waiver? A waiver is a document that grants individuals with a record of past convictions the permission to cross the U.S. border safely. It is issued by the . Once you obtain this document, you are legally allowed to travel to the U.S. for a designated amount of time. Do I really need a U.S. entry waiver? It is illegal to travel to the U.S. if you have a criminal record. If you attempt the risk and get detained, you may be barred from entry, face confiscation of personal property or even get arrested. How long will the entry waiver be valid for? Generally, entry waivers are granted for either 1, 2 or 5 years. However, depending on your application, and the efforts that you have made to become a rehabilitated member of the society, your waiver can be valid for a shorter or a longer period of time. Are there offenses that do not require a waiver to travel? You might not experience problems crossing the U.S. border if you only have one DUI on your record. All other offences will deem you inadmissible. I am not a Canadian citizen. Can I still apply for a waiver? Yes, you can apply for a waiver if you are not a Canadian citizen. However, you may be required to submit an additional application for a Visa. I've crossed the U.S. border before without a waiver. While you may have been fortunate enough to cross the U.S. border without needing a waiver before, customs agents do background checks on all individuals entering the country. Therefore, your record will eventually be seen, and obtaining an entry waiver will prevent you from paying a fine or serving jail time. How much does the renewal of my waiver cost? The costs involved in renewing an entry waiver tend to be very similar to those of your first application. 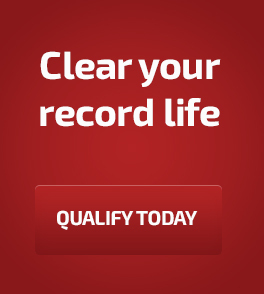 Contact Record Free today to get a detailed quote on your application. What is a Criminal Rehabilitation certificate? If you have a conviction that was committed outside of Canada, you can apply for a Criminal Rehabilitation certificate in order to be granted entry at the border. 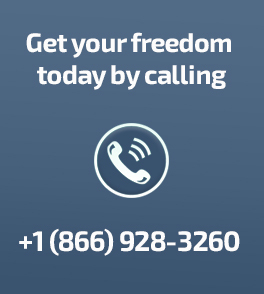 How and when can I apply for a Criminal Rehabilitation certificate? You should apply for a certificate before you plan on entering Canada. Processing times vary, so it is best to apply as early as possible. Here at Record Free, we take care of your application from beginning to end in order to make the process as smooth as possible. What conditions do I have to meet to obtain criminal rehabilitation? In order to apply for a certificate, you must meet the following conditions: - You must have been convicted for an offence punishable by a maximum of ten years. - Five years must have passed since you completed your sentence, probationary period or fine. Can I apply to enter Canada if I don't qualify for criminal rehabilitation? Yes, you can still submit an application to enter Canada. What do I apply for if my convictions were in Canada? If you were convicted within Canada, you will need to apply for a pardons Canada record suspension instead of the Criminal Rehabilitation certificate.